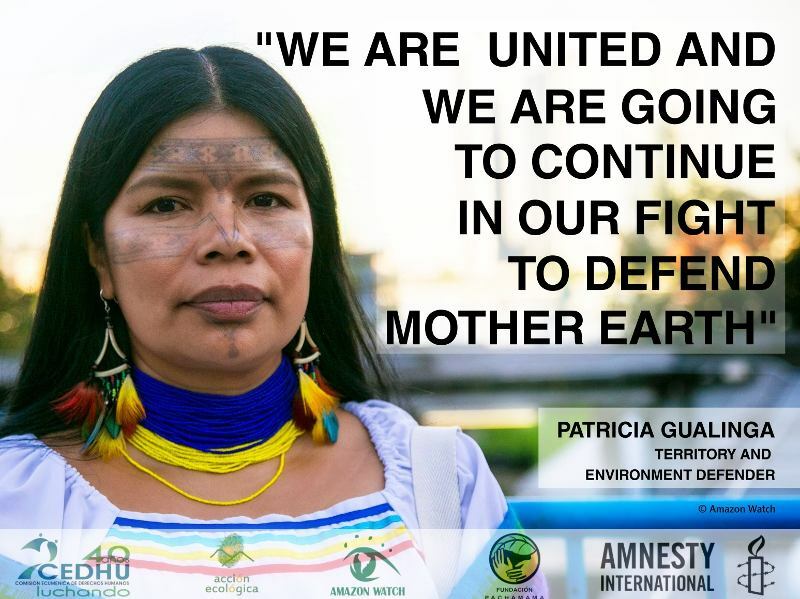 Brasilia, Brazil – Today hundreds of indigenous peoples representing Brazil's native communities converged on government buildings in the nation's capital to decry unprecedented and growing attacks on their constitutional rights and territories. 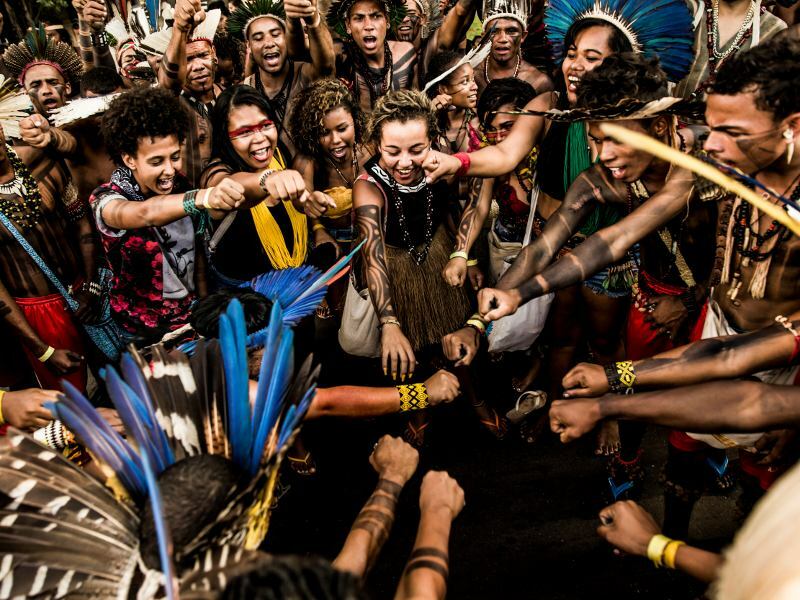 The historic mobilization coincides with the 25th anniversary of the founding of Brazil's constitution with its groundbreaking affirmation of indigenous rights and aims to preserve these rights in the face of powerful economic interests behind a spate of pending laws seeking access to resources on native territories. Brazil's Articulation of Indigenous People's (APIB) called the mobilizations – staged simultaneously in various cities across the country such as São Paulo, Belém, Rio Branco – to protest the attack against territorial rights of native peoples. 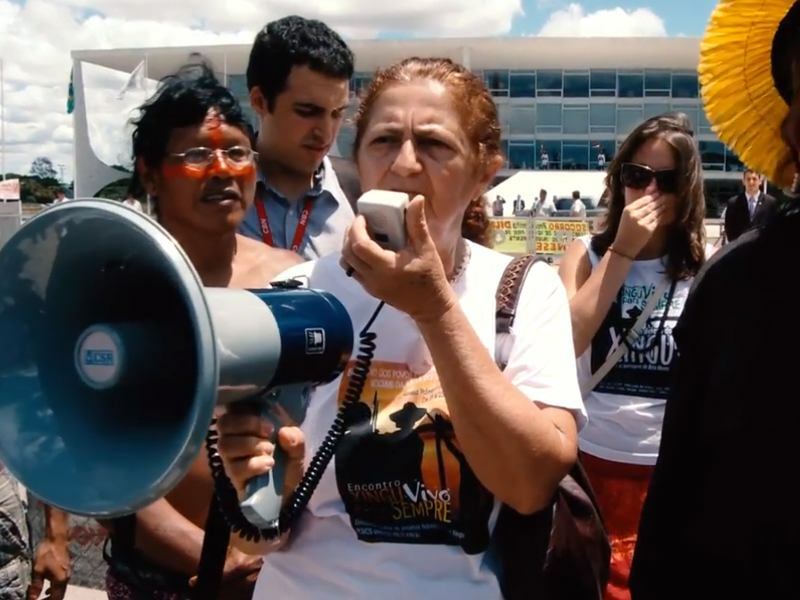 Emanating from the Brazilian government and backed by a powerful congressional bloc representing agribusiness known as the bancada ruralista as well as large mining and energy interests, a series of new proposed laws seek to undermine Article 231 of the Brazilian Constitution, which assures the indigenous right to an exclusive and permanent usufruct to resources on their ancestral territories. 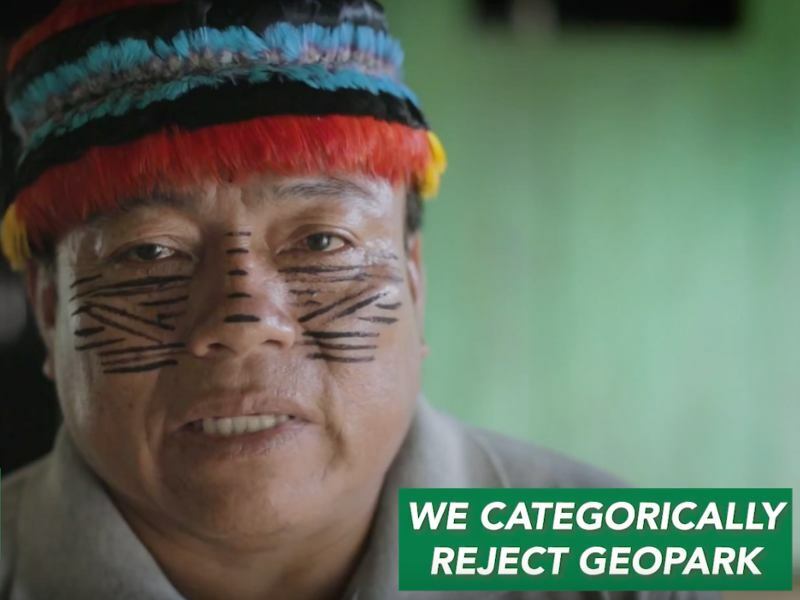 "We are here because Congress wants to take our rights and extinguish our people," said Chief Raoni Metuktire, a legendary Kayapó leader from the Amazon. "This assembly is important because it aims to unite our peoples against this threat." Hundreds of planned laws and constitutional amendments targeting the rights of indigenous and traditional communities are under debate in Brazil's Congress and risk being passed this month before lawmakers go into recess, making this week's mobilizations both urgent and timely. Among the proposed changes are Proposed Complementary Law (PLP) 227 which would modify Article 231, eliminating the indigenous right to resources in cases of "relevant public interest," clearing the way for industrial farming, dam-building, mining, road building and settlement construction on indigenous lands. Proposed Constitutional Amendment (PEC) 215 would roll back the demarcation of new indigenous territories by passing the authority to demarcate lands from the Executive to a Legislative branch that is increasingly hostile to indigenous rights. 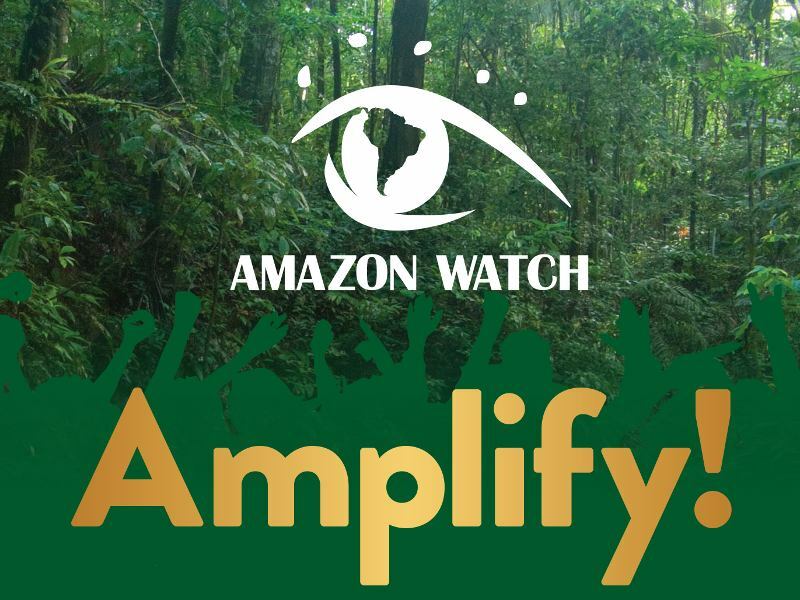 "These amendments and new laws that the government wants to pass will destroy indigenous rights enshrined in the Brazilian Constitution and the international treaties of which Brazil is a signatory," said Maíra Irigaray Castro of Amazon Watch. "If Brazil denies the rights of these traditional populations they risk extinction, something the world cannot afford. These are the guardians of the rainforests for the benefit of all humanity." 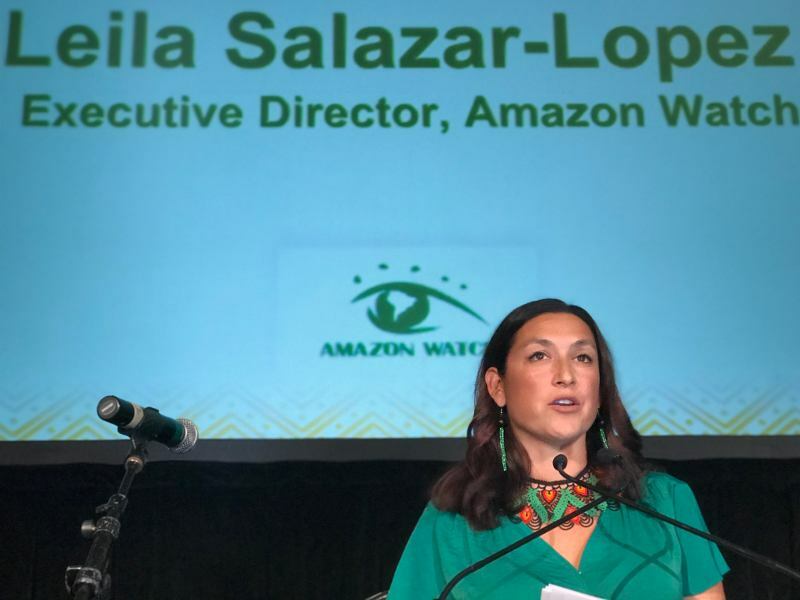 "We're not going to stand by and watch our territories being stolen, our houses being invaded and our rivers being destroyed," said Sonia Guajajara, coordinator of APIB. "Rather than calling Congress the house of the people it should be called the house of agribusiness." In addition to presiding over this unprecedented assault on indigenous rights, the Rousseff government has demonstrated the worst record of indigenous territorial demarcation since the nation's dictatorship era. Further undermining the integrity of these territories, the office of her Attorney General proposes Ordinance 303 in order to veto any expansion of demarcated lands while authorizing the construction of roads, energy transmission lines, and military installations within their borders when such projects are deemed relevant to "national security." These moves coincide with increasing government backing and finance for projects and industries, exemplified by Brazil's dam-building boom in the Amazon, that are entirely at odds with indigenous rights.